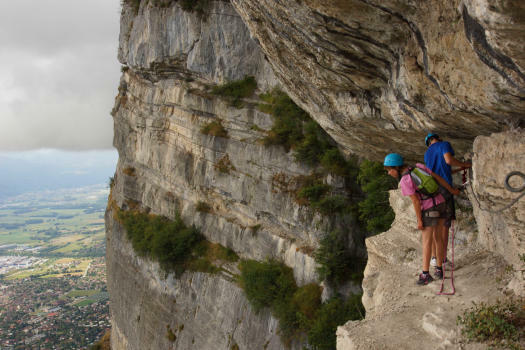 Le grand dièdre, Sortie par l'echelle de l'enfer, massif de la Chartreuse. 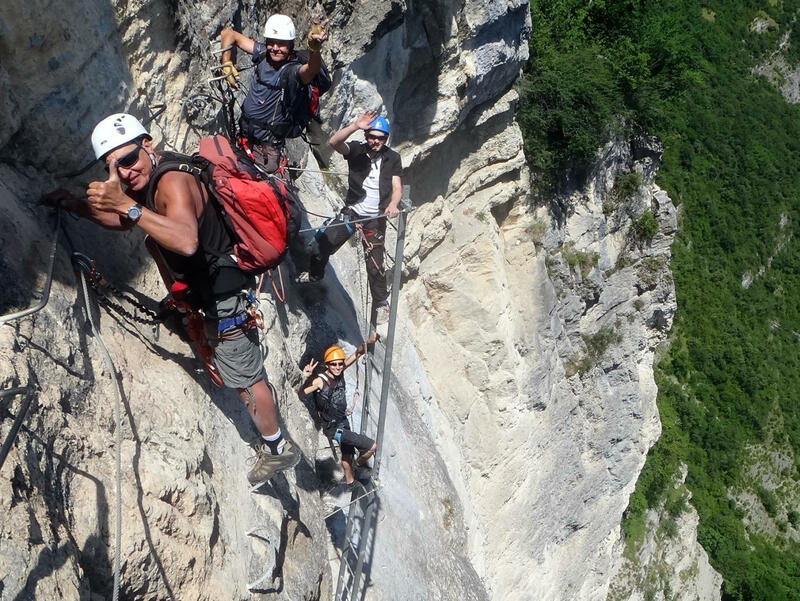 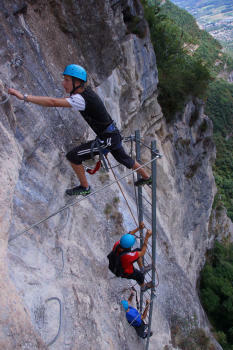 Via ferrata overlooking the valley Grésivaudan. 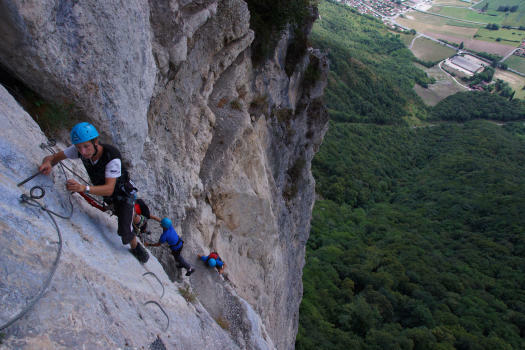 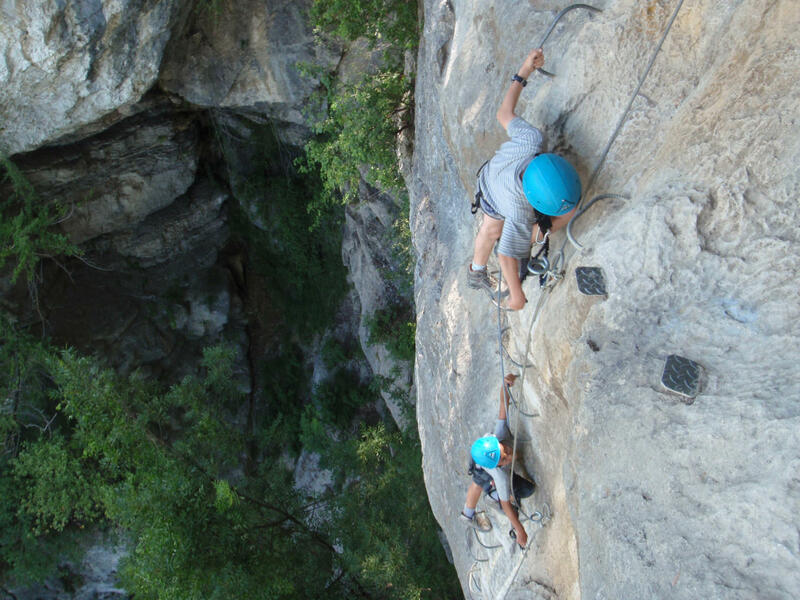 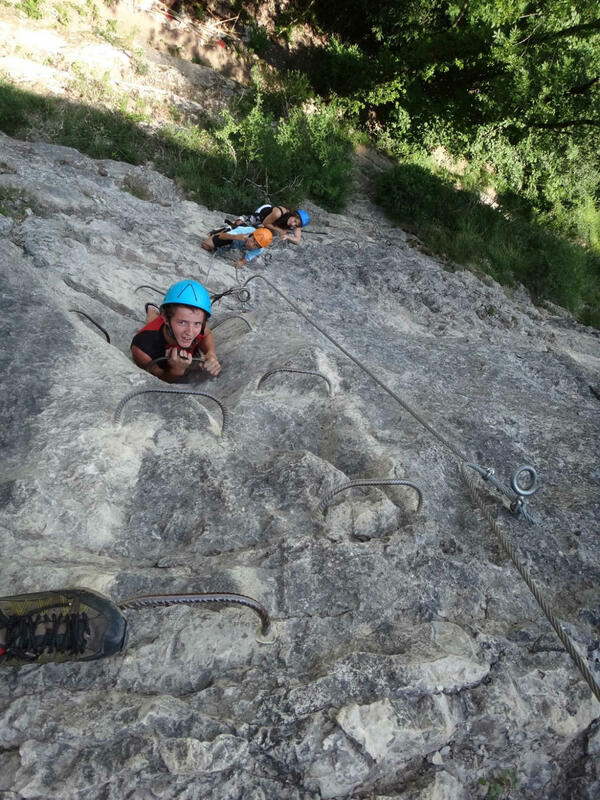 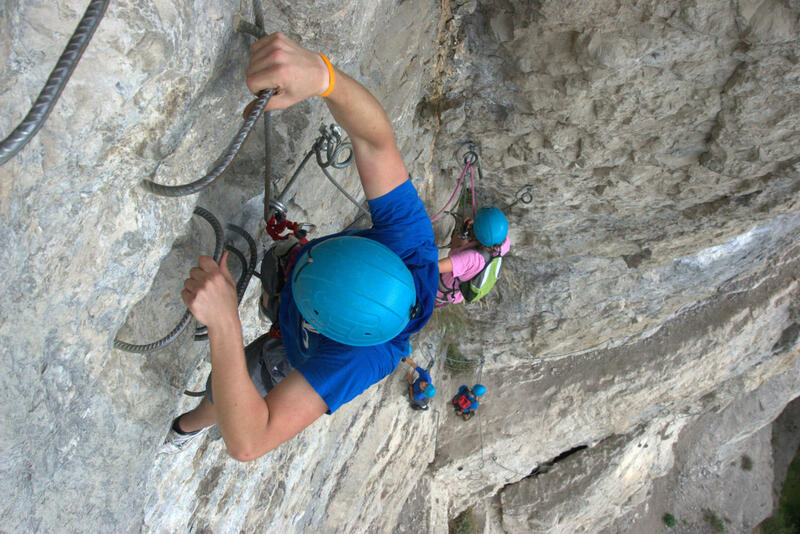 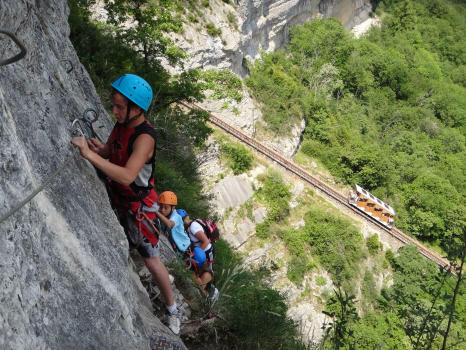 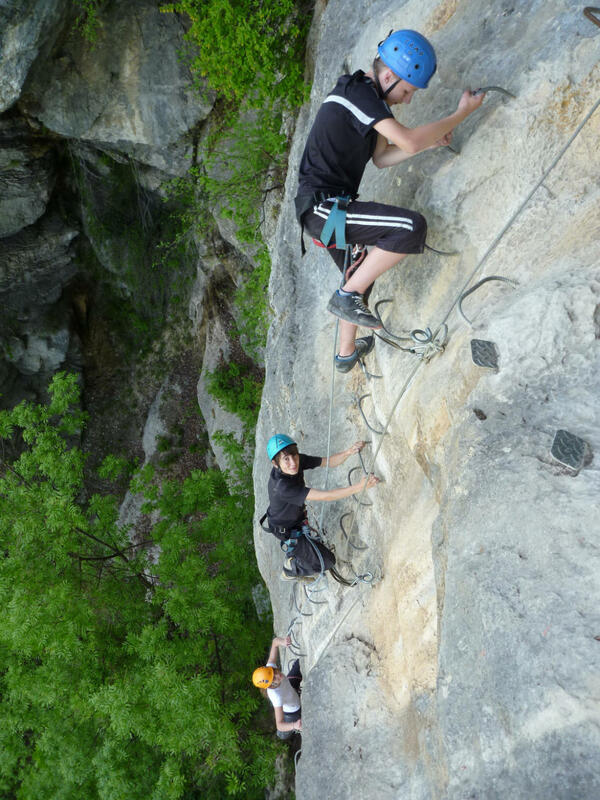 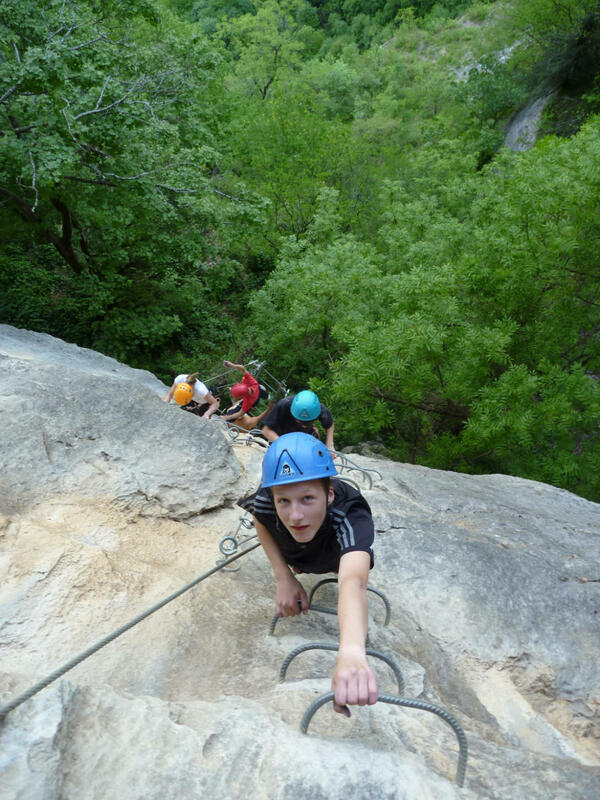 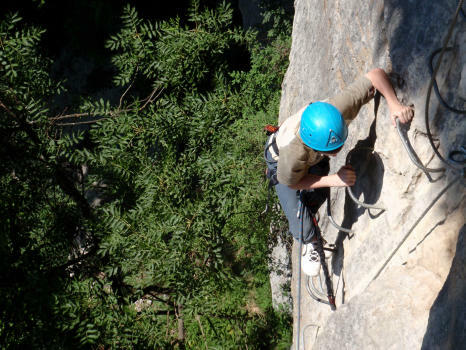 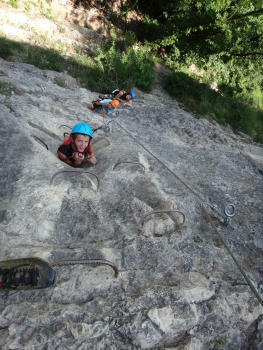 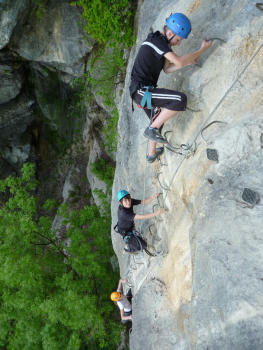 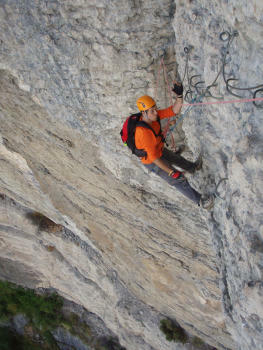 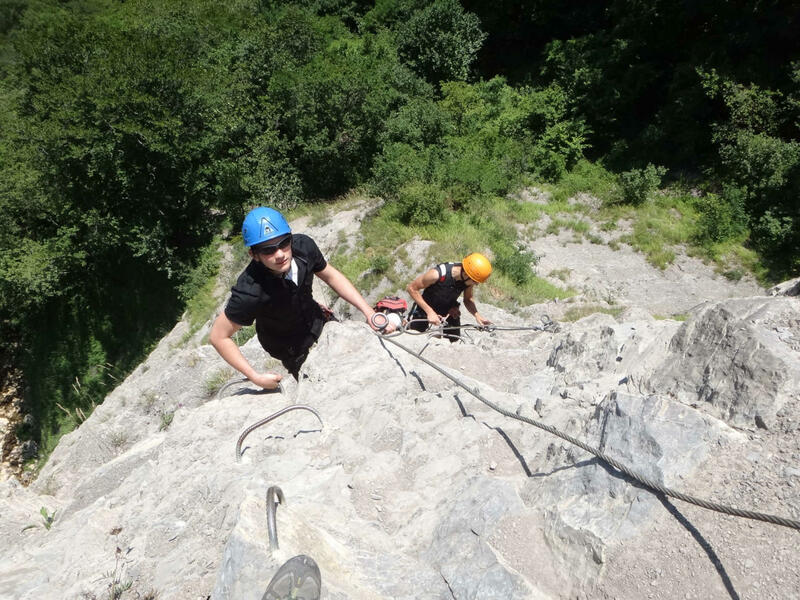 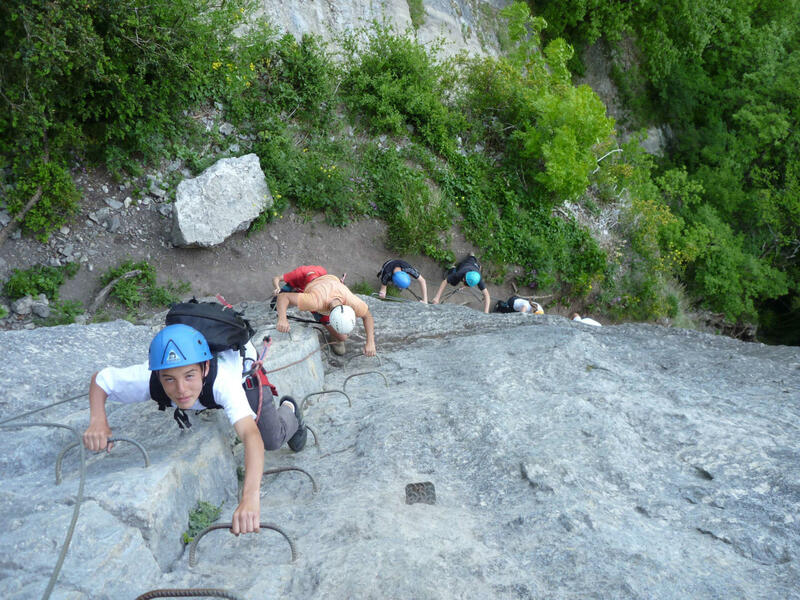 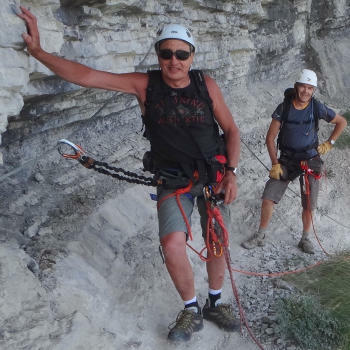 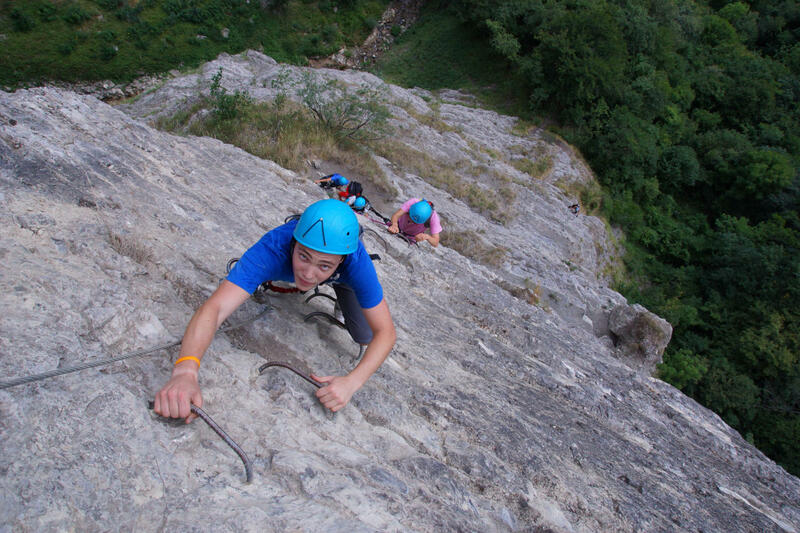 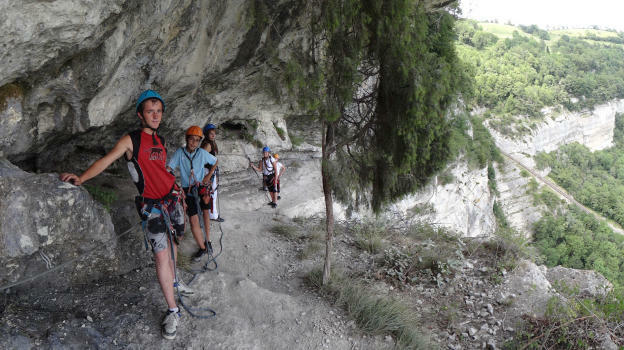 Via ferrata located in Saint Hilaire du Touvet above Crolles, very wild and Aeriene, Moderate to sporty difficulty due to some steep walls on the first pilar, as well as its length. 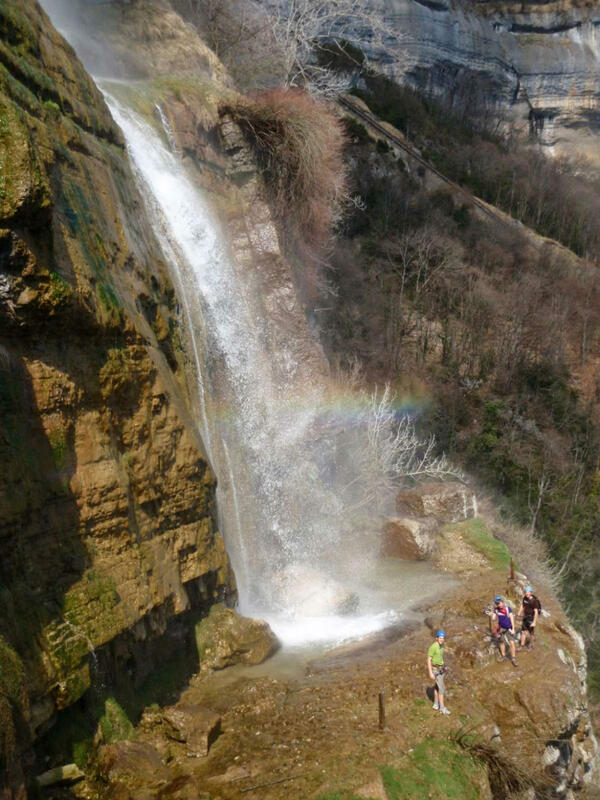 The first pilar leads to the foot of the « Oule » waterfall. The round trip (approach hike + via + return hike to the funicular top station) lasts 4h30.